This 1928 Waterman 994 is a lever-filler Rose Ripple. One of the rarest and most beautiful of colors! Few were made because the country was entering the depression and few high end pens were selling, the rubber turned out to be very fragile so few survived, and the same year Waterman very shortly afterwards introduced their first plastic pen, the Patrician, which was very successful. Gold-filled trim. Fine, flexible nib. 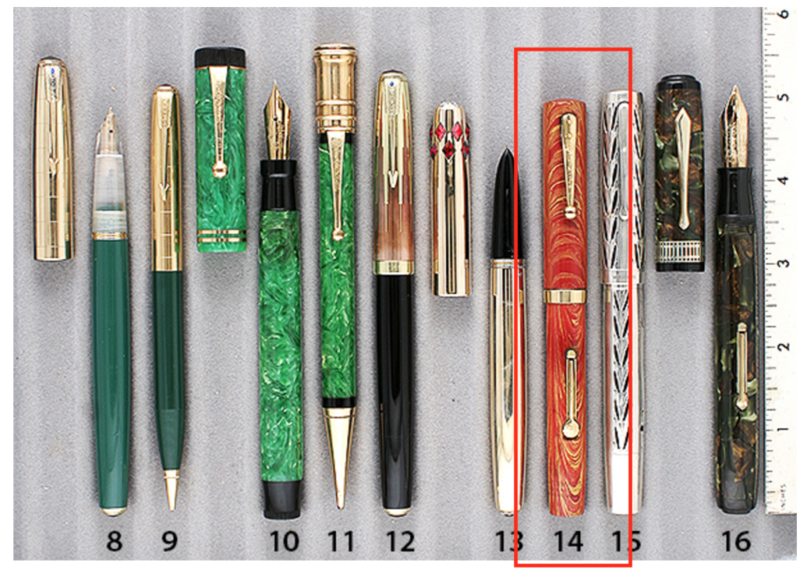 This entry was posted in Vintage Pens and tagged Catalog, Catalogs, Extraordinary Pens, Waterman. Bookmark the permalink. Follow any comments here with the RSS feed for this post. Post a comment or leave a trackback: Trackback URL.